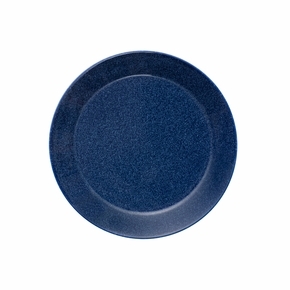 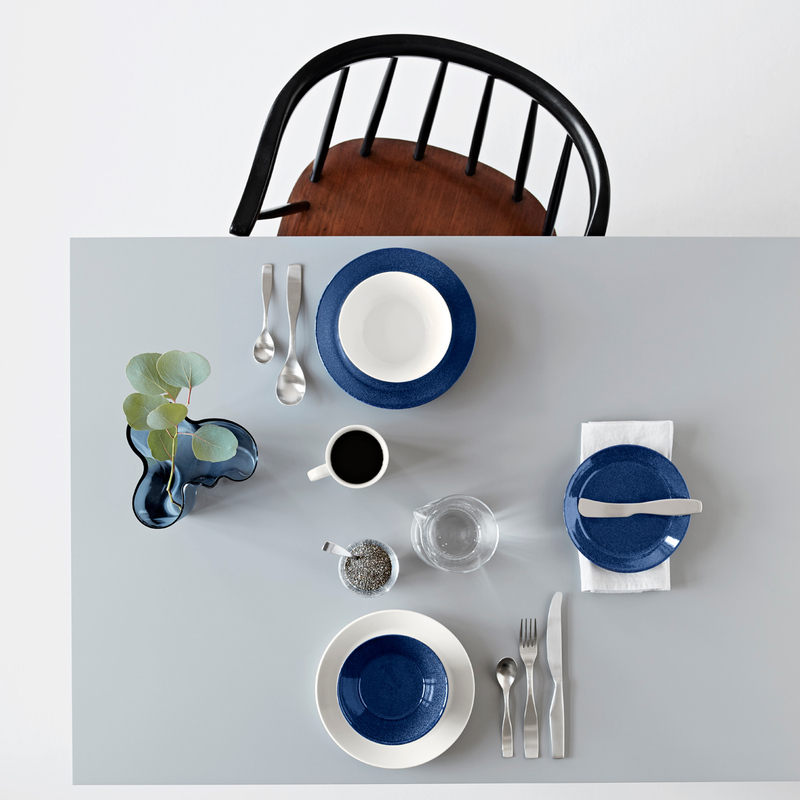 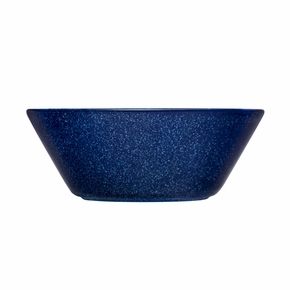 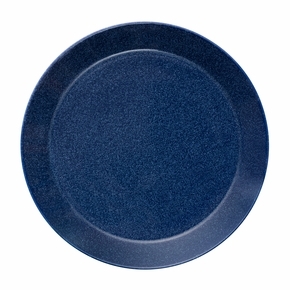 More about iittala Teema Dotted Blue Dinnerware A tried and true classic gets a new look. 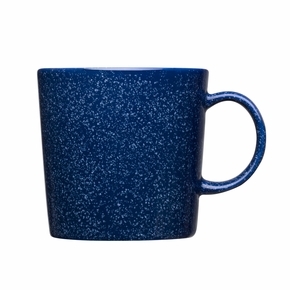 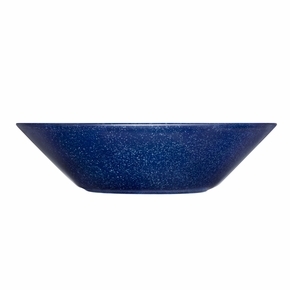 Teema's traditional blue glaze is speckled with a lighter hue, adding dreamy dimension to the smooth surface. 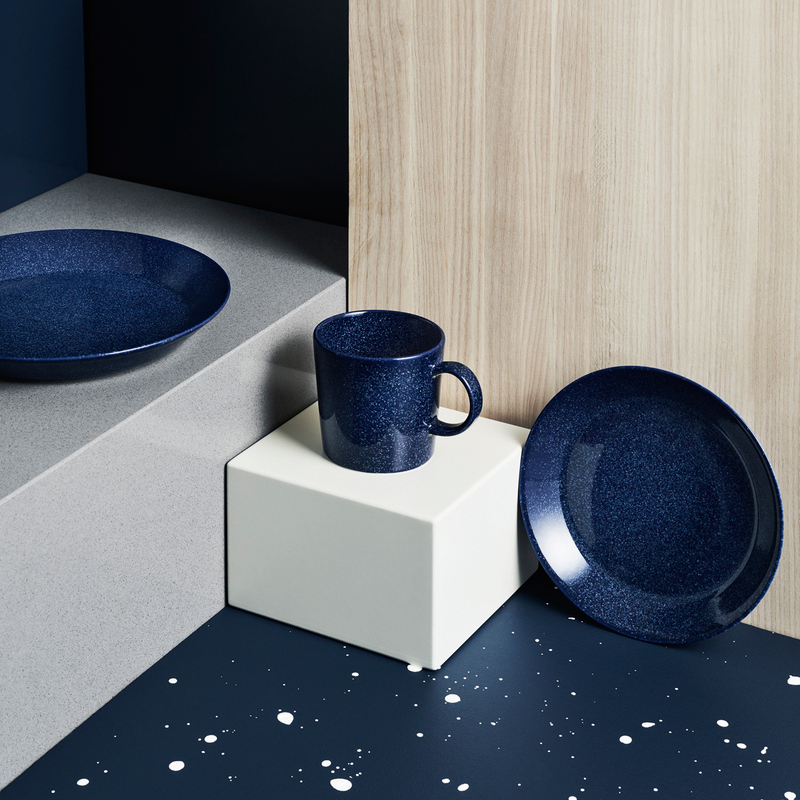 With the dots' placement a random result of the production process, each porcelain piece is a unique constellation. 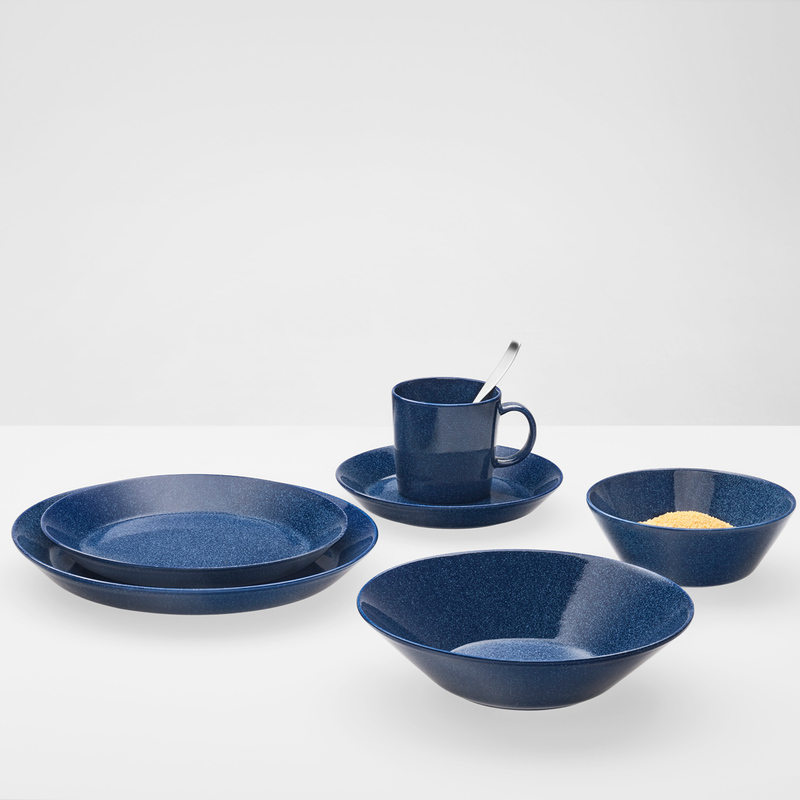 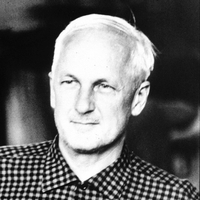 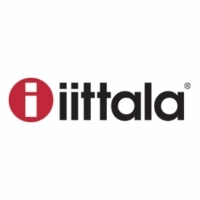 Iittala Teema was designed by Kaj Franck in 1952, yet it remains a timeless essential for the modern home today. 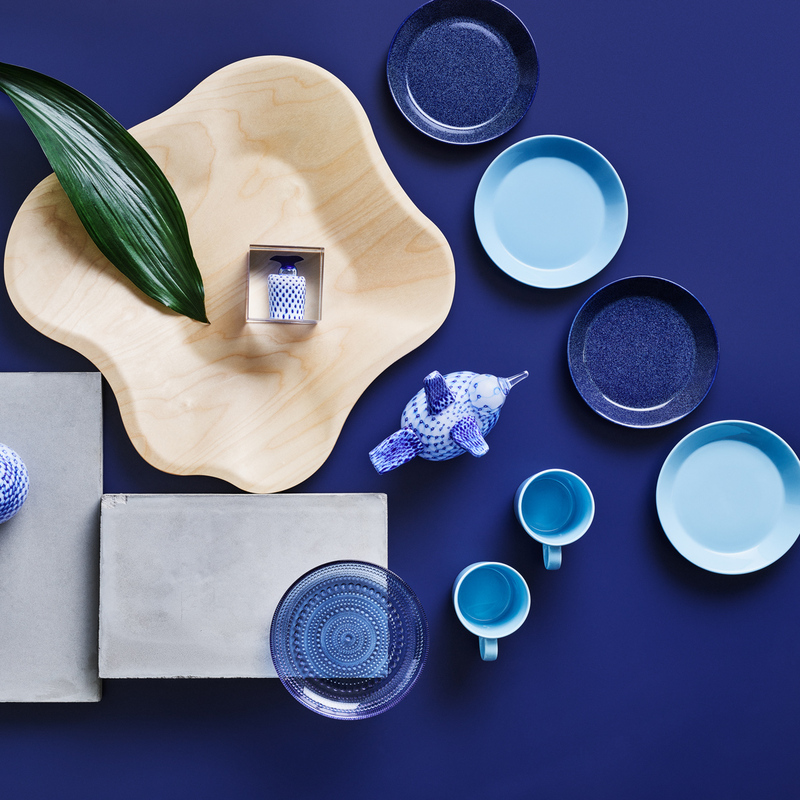 Derived from the three simple forms of a circle, square and rectangle, the clean lines allow it to be combined with all other iittala lines like Taika, Origo and Kartio in effortless harmony. 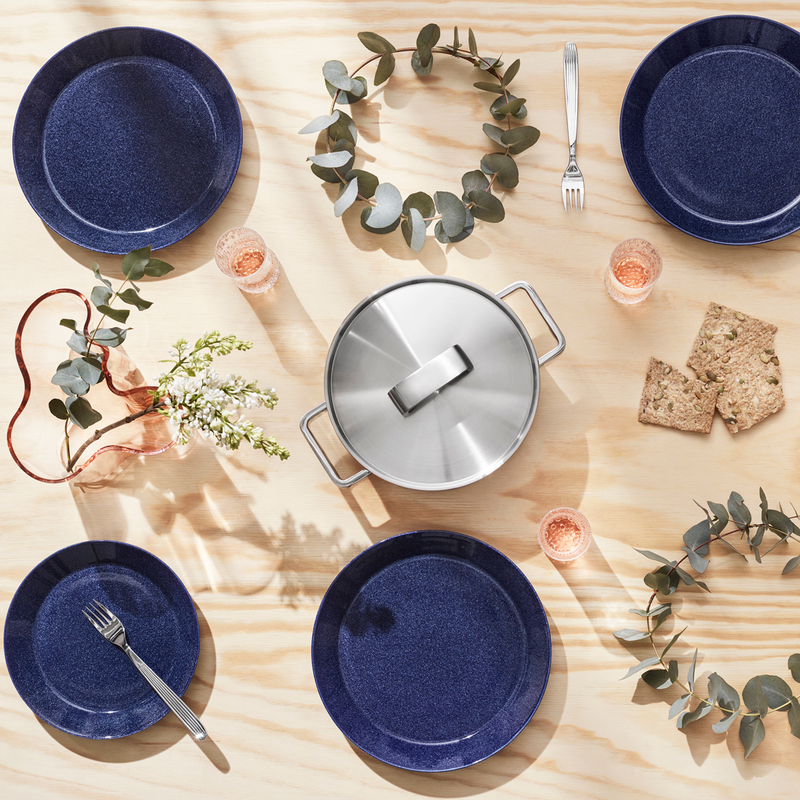 It is functional, durable, and refined in the spirit of Scandinavian and Nordic design. 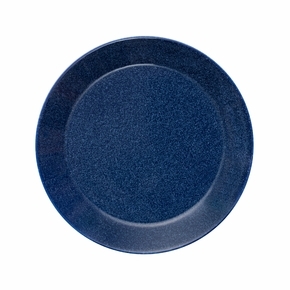 From plates to platters, cups to bowls, each piece of porcelain is oven, freezer, dishwasher and microwave safe. 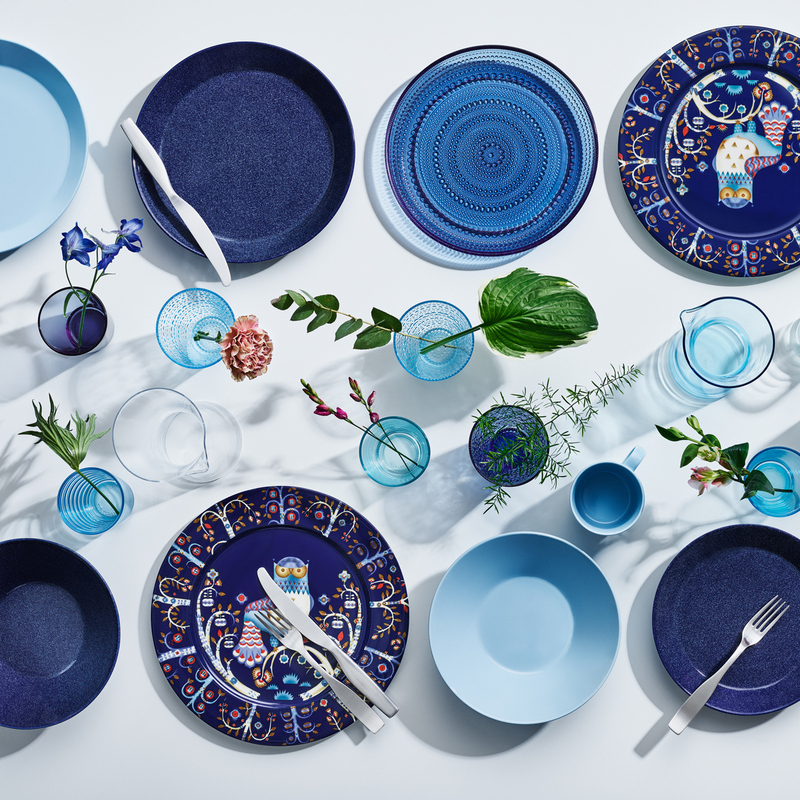 This convenience of cooking, serving and clean-up makes it as suited to everyday dining, while its beauty makes it worthy of the most special table settings.